The health, safety, welfare and security of our TPS students is of utmost importance. The oversight of these critical issues has been incorporated into our Student Support Services Department, led by our Director of Student Support Services, and it includes a safety team which meets regularly to discuss safety drills, procedures, protocol, and the development of strong and relevant safety measures. As a practical measure of safety and security the TPS campus has 24 hour video surveillance and is a closed campus. All visitors are required to check-in through our School Office and provide a valid form of government-issued ID (such as a driver’s license, California ID, or military ID). TPS utilizes the Raptor Visitor Management System, which screens visitors to our campus and allows for TPS to monitor all guests on our campus. This system also provides a printed badge. Security and campus supervisors ensure that all guests and volunteers are properly identified. Any individual who is employed by the school or volunteers at the school must undergo fingerprinting and a thorough background check. Temecula Preparatory School encourages parents/guardians and other members within our school community to share their time,knowledge, and abilities with the school in line with our mission to provide a classical education to our students. This can be done through our PTO,Parents and Teacher Support, or PATS. TPS recognizes that volunteers enrich the educational programs, enhance supervision of students, and contribute to school safety while strengthening the school’s relationships with parents and friends. TPS also encourages parents and friends to serve as mentors in modeling virtuous behavior to help support and motivate our students in fulfilling the school’s mission. In light of this desire to work with parents and staff members as volunteers, the school strongly encourages parents and staff member to become involved with the parent and teacher organization known as “PATS” (Parent andTeacher Support). Please note that if you wish to volunteer on campus or volunteer on a field trip, that you must complete the volunteer application, which includes a livescan (for TPS only) and documentation of a cleared TB test result. Volunteer applications are located atour school offices. 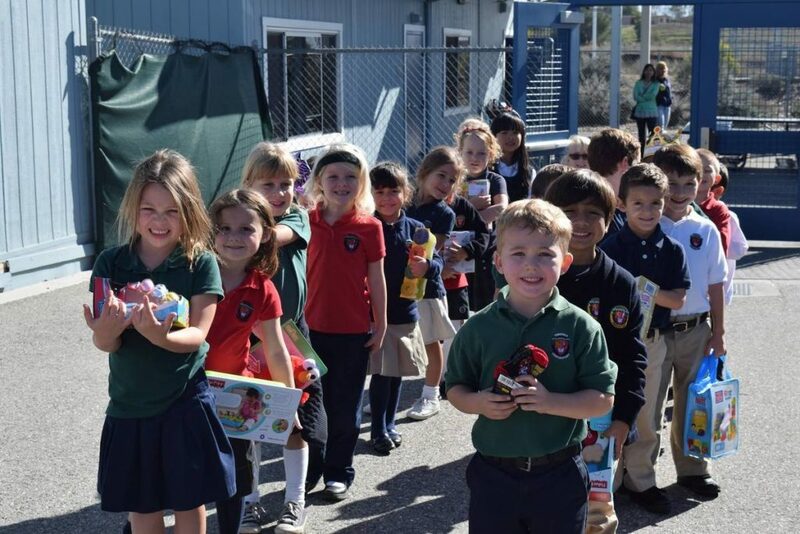 With a virtue centric curriculum it is natural that Community Service and outreach to the surrounding cities would be an extension of the education at Temecula Preparatory School. Students in 9th – 12th grades are expected to complete 50 hours of community service by the time they graduate as a requirement before they can receive their diploma. School-wide, students participate all year in community service projects that include: service, donation of goods and monies, in-kind hours, etc. We want to encourage students to have a sense of “otherness” and consider how their actions impact and effect others. This is an integral part of who we are since TPS is a school of leadership! Our National Honor Society, National Junior Honor Society, and National Art Honor Society are examples of leadership opportunities with a focus on community service. Virtue Education – The daily lessons inherently cultivate the virtues of temperance, prudence, justice and fortitude as a means of discovering a deeper truth. Virtue is the foundation for all knowledge prompting the learner to strive for wisdom. This is why our vision reads, “A Heritage of Virtue, Wisdom, and Knowledge.” The most important part of our school is the focus on a child’s character in partnership with their parents. Ongoing virtue surveys and teacher feedback provide accountability for this portion of the students’ education. Justice means treating others with kindness and respect. Respect, friendship, kindness, compassion, generosity, fairness. Temperance is about mastering ourselves and our impulses for the sake of the happiness of those around us. It’s about acting the right way at the right time. Good manners, self-control, patience, and obedience. Fortitude means having the courage to face challenges and obstacles; persevering when things get tough. Courage, optimism, perseverance and loyalty. Prudence is about having sound judgment and making wise choices. It’s about being thoughtful. Honesty, wisdom, gratitude, and humility.